We look forward to hearing from you, and we read and respond to every comment and e-mail that we receive. From our own experience, I would say that you will be fine driving that route. The only time we had to be extra careful was in the mountains on the narrow road, especially at the corners, because the truck drivers have to sometimes creep into the opposing lane of traffic to make the tight turns. I would highly recommend that you aim to be out of the mountains by sunset. That was our mistake, but we still managed albeit lined up behind slow-moving trucks that were trying to make some of the grades. Make sure you are stocked up food, water and gasoline because there is nothing available out there. Also, after dark, in the towns, most streets are opened up to foot traffic, sidewalk eateries and vendors making driving quite difficult. Would you allow me to use two of your photos of St. Colman’s Cathedral in Cobh on my Facebook album and on my Shutterfly photo album (for friends and familiy who don’t have Facebook)? When I was there last month I got only views FROM the yard outward over the water, and one (1) photo of the floor (of all things). I’d like to feature a picture of the cathedral. I will give full credit. Sorry, Joann, but we would prefer that you do not use our photos on your Facebook album or Shutterfly photo album. I hope you understand our reluctance to share our photos in this way. I came across your beautiful photos and commentary about the Trumpeter Swans on the web. I am with the Trumpeter Swan Coalition, a group that includes the Trumpeter Swan Restoration Group. I see that you met Kyna the day you were there. Our Coalition is trying to protect the LaSalle Park habitat from a proposed expansion of the privately owned LaSalle Park Marina which would include building 340 permanent boating slips and creating a 400-m break wall across almost the entire width of the harbour. I was wondering if you would allow me to use some of your photos on the Coalition’s Facebook page. I would, of course, give you credit for the photos. Please have a look at our website and Facebook page and feel free to contact me if you have any questions. Hi Liz. Thank you for contacting us. Our response will be sent via private email. Hello! Thanks for sharing your wonderful adventures=pictures with all of us that are so lucky to enjoy them through your lenses. We love to travel with my husband as well…now we are enjoying our newborn 🙂 but next year for sure we will take off to see the butterflies. Could you please share some of your contact information in México, so whenever is the time I can arrange our trip to see the Monarchs. Thanks in advance and happy travel! Thank you Bob & Jean for sharing your life stories. I always love to see and read them. You are living your life to the fullest. May you remain healthy and loving it. Thanks, Cynthia. We are trying to make the most of every day one way or another. We feel it is best to seize the moment because everything can change on a dime, and we aren’t getting any younger. I’m glad that you enjoy reading our stories. Wonderful photos, information and insights, very helpful as I plan a trip to Peru. I was wondering when did you travel to machu Picchu and Peru, like in which month? Any thoughts or what you might have heard about traveling in December, thanks for your time. Hi Jackie. We traveled to Peru in April, and the rainy season had just finished. We were lucky because not as much rain had fallen towards the end of the period as usual so the mosquitoes in the Amazon Jungle were almost nonexistent. We had gone prepared with bug nets and bug spray but had no need of them. Of course, that wasn’t an issue in any of the other areas of Peru. As far as traveling in December, it might be wise to contact Tourism Peru for input as to weather conditions at that time of the year. I hope you have a fabulous trip! Hi Marilyn. Sorry for the delay in responding. We have been up to our ears with family commitments. I am sad to hear about the poor squirrels having sores on their faces. I have never heard of such infections in your area, but we are not experts. All I can recommend is that you get in touch with the Ministry of Natural Resources. I am sure the wildlife professionals there will be able to give you some insight and perhaps some recommendations as to how to proceed. Let me know how it goes. Excellent photo work I just saw on the Ontario Trumpeter Swan FB site! Would love to know what photo gear you use including video. Much appreciated! Thanks for your comment, Paul. I shoot with a Fujifilm HS20 EXR that has a 30x zoom lens, which covers a 35mm equivalent focal range of 24-720mm. Most of the pictures you see were shot with this lens. We have just added a new lens to our equipment, a Raynox lens, Model DCR-2025PRO 2.2x telephoto lens. I am anxious to try it out. My husband shoots with a Sony professional video camera. Your photos are beautiful. whichever of you took these pictures has true artist eyes. I teach seniors( in their late 80s and 90’s) how to draw and paint in Montreal, Quebec, and I will share some of your Giverny shots with them, to inspire them, as many do not have computers. We study many of Monet’s paintings, and they do their own impression of many of the famous artists. They will really enjoy seeing the “real” pictures of these incredible places. I use this technique as a tool for them to learn about different styles, and try them out. I look forward to seeing more of your travels! Bravo and thanks for the inspiration! Mona, I can’t thank you enough for your kind comments. It is I, Jean, who take the bulk of our photographs, and Bob shoots most of the video footage. I feel honoured that you have given us such praise. We are thrilled that you appreciate our pictures, and are pleased that your group of seniors might find our photographs inspiring. I love your site! I love to draw and paint birds and squirrels! Was able to take photos of my backyard squirrel who seemed to pose for me! Do you ever allow artists to use your photos to paint from? I happened to spot a snowy barn owl here but unfortunately I was driving and there was truck right behind me! I returned to the spot but it was already gone. Please email me at ssims@sbcglobal.net if you would be willing to give me permission. Thanks for sharing! I’m so thankful that you have been blogging about your travels. I found your site while looking for information on Markham. I love that we have so much to see close to home as well. I know that I will visit the Milne Damn Conservation Park because of your blog. I have also posted your link at We Love Markham facebook page in the hopes that other local people also enjoy nature close to home. Thanks for your enthusiastic response to our blog. In this day of “staycations”, Bob and I love nothing more than turning people onto local destinations that offer the reward of getting close to nature and at the same time, encouraging a bit of exercise. It is so important for people to get outside and appreciate the benefits of their surroundings. Bob, nice to be connected again, albeit digitally. Hey Wilf, good to hear from you, hope all goes well with you. Glad you like the site. very much enjoyed your pictures of the flood at Oxtongue – and laughed to see one of our canoe floating around – we were able to rescue it on Saturday! I’m glad you were able to retrieve the canoe. We understand that someone’s motor home started to float away, but a helpful neighbour of the absent owners was able to tie it down with a rope. I’m sure once all of the ice has melted from the lake, we will see lots of random belongings floating on the surface. Thanks for looking. Hi Bob and Jean! i am very happy to read your site, I was searching for tulips in Holland and your photos made me wanna go there right now! So, I am thinking of this very seriously, as I love nature photography! I will have my 33th birthday on 22th April and this would be the perfect gift for me! I have a plan in my mind. First to go to Amsterdam, then have 2 days at Keukenhof. I will travel with my husband and our 14 month baby. Are the facilities at Keukenhof good for a baby, I mean is it easy to find a toilette to change diapers, or restaurant-cafe to eat? Any advice so as to have a safe trip there with the baby? What is the best way to go to Keukenhof from Amsterdam? Please send your answer to my e-mail, so as to see it for sure! Thanks for your interest in our blog, Argyro. 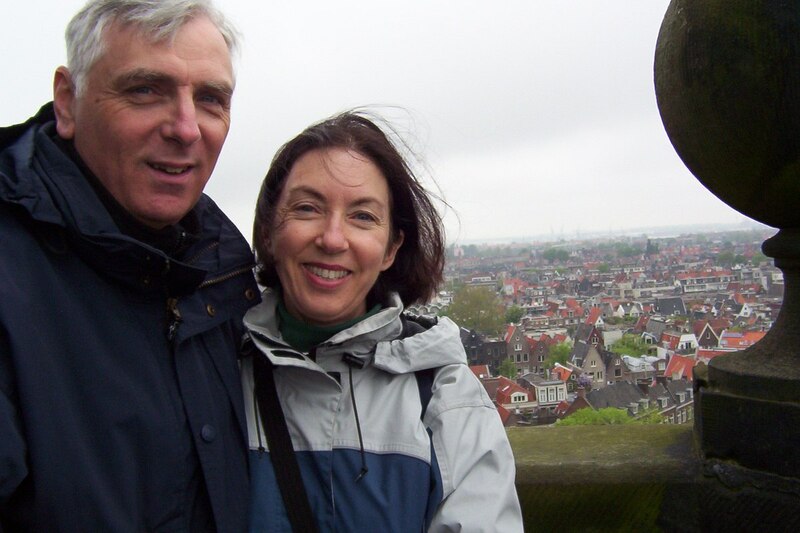 Bob and I drove from Amsterdam to Lisse as we had rented a car for the duration of our vacation. Keukenhof Gardens have very modern facilities to accommodate every age and type of person. You will have no difficulty servicing the needs of your baby while visiting there. The Visitor Center at the gardens has numerous restaurants, all overlooking the gardens. I hope you have a wonderful trip. Thanks for your interest in my Grey Squirrel alarm call video on YouTube. Have a look at this video done some years ago, so the quality isn’t too good. It does show the capabilities of the Grey. The creativity and intelligence of squirrels, in general, always astounds me. They are a force to be reckoned with. thanks for finding Free Planet and sharing your 200-years old whale adventures. Thanks for the link to your website. While on your website, I had a look around and came upon one of my favourite places in Ontario – Merrickville! In 2003, I joined 10 kayakers and we kayaked from Kingston to Ottawa over a period of 10 days. I was the one who was responsible for setting the itinerary, and with little knowledge of the canal and its towns at all, I arbitrarily picked Merrickville as one of our stops to spend the night. We camped in our tents right at the lock stations and because I was very generous in the time we spent paddling from one stop to the next, we arrived at our daily destinations usually by noon to have time to explore the towns and villages along the way. I fell right in love with Merrickville, and took my wife there or our anniversary the following year. Thank you for allowing me to relive those wonderful memories of 2003 through your incredible photos on your website. Thanks for your wonderful comments, Terry. Bob and I did really feel at home in Merrickville. The quaint charm and historical ambience of the community is alluring and definitely tempts us to return. My dream is to visit El Rosario and see the amazing monarchs. After seeing your photographs, I went to my husband and told him I would like to plan for next year! How exciting! Your photos are wonderful and really help those elsewhere understand what it is like without being present. Thank you for sharing. I do, however, have a couple of questions for you that I would like to address personally. I think you can help me with some information concerning planning for my trip and also your photos. Would you be willing to send me an email address where I could share these with you? Thank you for your checking out our blog. I am glad that the story and pictures inspired you. We will respond via private email. Bob and Jean. My wife found your site and loved the monarch article. She and now we have been collecting and raising monarch caterpillars for many years now. She started the project as a kindergarten teacher and has continued with my help now that she is retired. We find eggs, and cats and raise them to the butterfly stage when we release them. Last year we raised over 800 and tagged over 200. I tried to find your email on this site but it did not come up. We are wondering how physically difficult it is to get to the sanctuaries. My wife’s knees cause her pain and we would like some info from someone who has been there. Hi Pat. At each of the sanctuaries that we visited, visitors have the option of riding on horseback to get to the roosting locations of the butterflies. Only at Cerro Pelon did we find it necessary to do so. The hikes at El Rosario and Sierra Chincua were both easily manageable for Bob and me, and the guides are more than willing to take frequent rests if the need arises. All three hikes require uphill climbing, and of course, the descent is always harder on the knees, so your wife might find it easier to hire a horse. The guides take their time ascending the mountains, so you would be fine walking alongside, unless you wanted the experience of going on horseback, too. Once you reach the top of the trail, it is easy to navigate the various footpaths throughout the accessible forested areas. Hope this helps.